Extra super sticky. 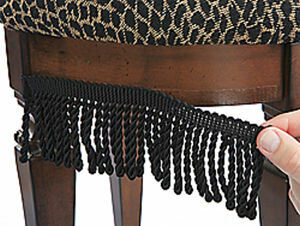 I use it for multiple jobs where adhesion is critical. 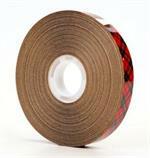 3M Scotch 969 ATG Tape - 1/2" x 36yds - 5.0mil - High Tack - Very aggressive . 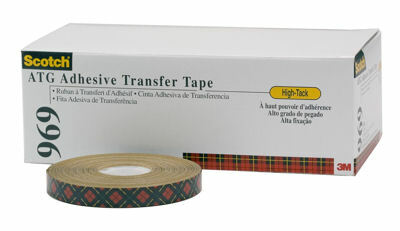 This tape offers excellent adhesion to textured surfaces, rough paper surfaces and plastic. 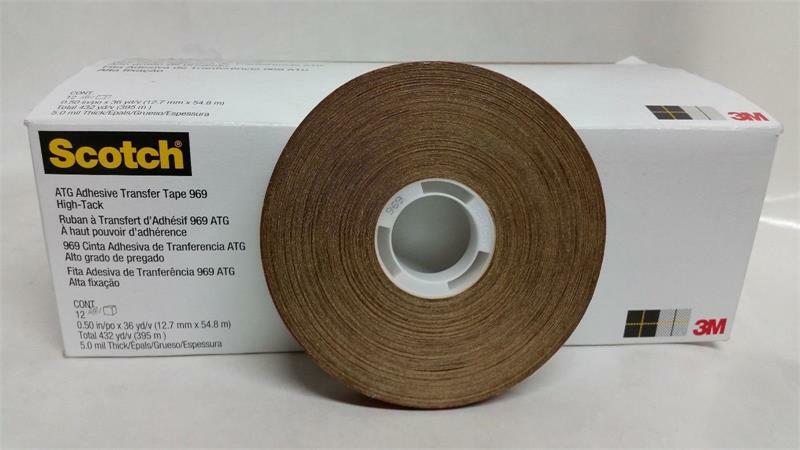 Ideal for bonding materials with glossy coatings where an aggressive adhesive with high initial adhesion is desired. 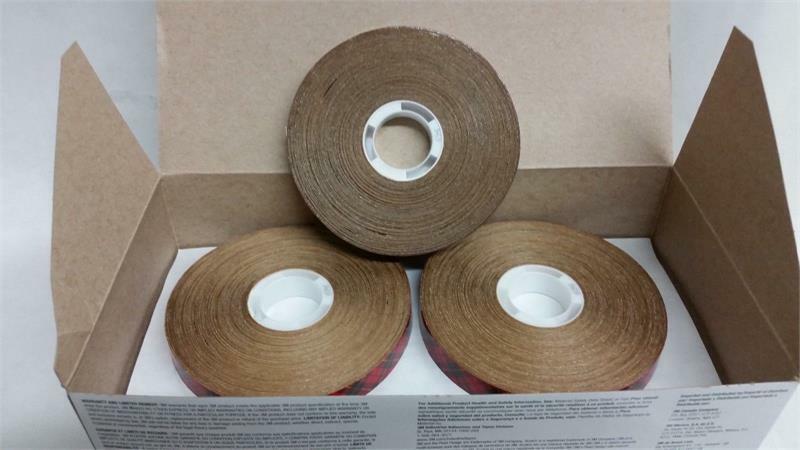 Some application ideas are: folders and boxes, attach fabric swatches in sample books, and assemble point-of-purchase displays. Good adhesion to Low Surface Energy applications. 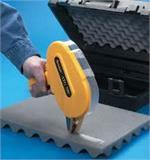 -Bond gaskets and industrial foam. Use with ATG 700 1/2" Applicator for heavy-duty applications.